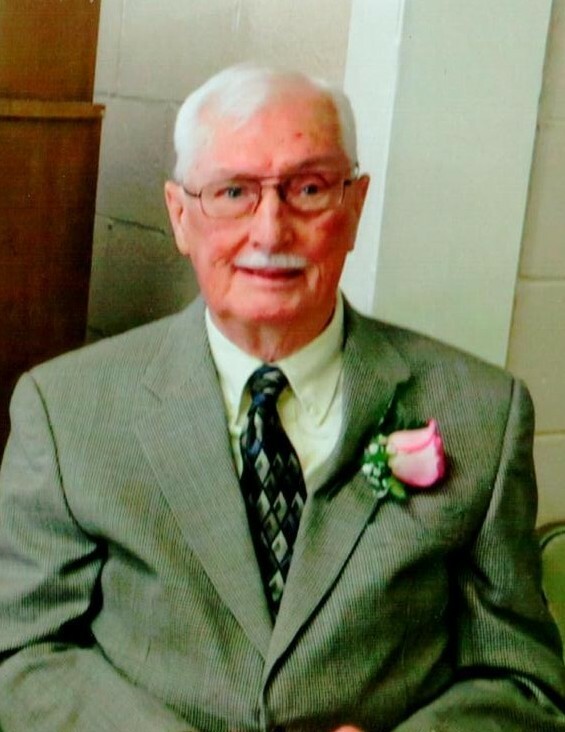 Taylor Funeral Home of Gibson announces the death and funeral services of Mr. Eugene Talmadge Chalker, age 86 of Gibson, who died Monday, April 1, 2019 at his residence. Funeral services will be held 2:00 P.M. Thursday, April 4, 2019 in the Bethel United Methodist Church with the Rev. Mira Barrett officiating. Burial will follow in the church cemetery. Pallbearers will be nephews: James Norris, G.T. Norris, Robert Chalker, Zach Chalker, Josh McNair, Troy Hadden & Wendel Chalker. Honorary pallbearers will be Clifford Chancey, Benjamin Chancey, Ethan Chancey, Cliff Chancey, Vernon Perry, McKenzie Perry, Coty Faglier & Kevin Woods. A native of Glascock County, Talmadge was the seventh son of ten children to the late Aytch and Dillie Peebles Chalker. He was a 1950 graduate of Glascock County High School and retired after serving 34 years as an engineer with the Department of Transportation. He was preceded in death by his parents, 6 brothers and 3 sisters, and is survived by his loving wife of 54 years Mary Chalker, of Gibson, daughter; Stacey Ellen Chalker, of North Augusta, like a daughter; Kylee Woods of Gibson, God daughter; Laura Ann Aronson, of Madison, AL, many nieces, nephews and friends. The family will receive friends from 6:00 P.M. to 8:00 P.M. Wednesday, April 3, at the funeral home. Those desiring in lieu of flowers, please make memorials to the Glascock County Concerned Citizens for Cancer, c/o Gwyn Couch, 412 Logue Ave. Gibson, GA 30810 or Bethel United Methodist Cemetery Fund, c/o David Usry 4154 Bethel Church Rd. Gibson, GA 30819.